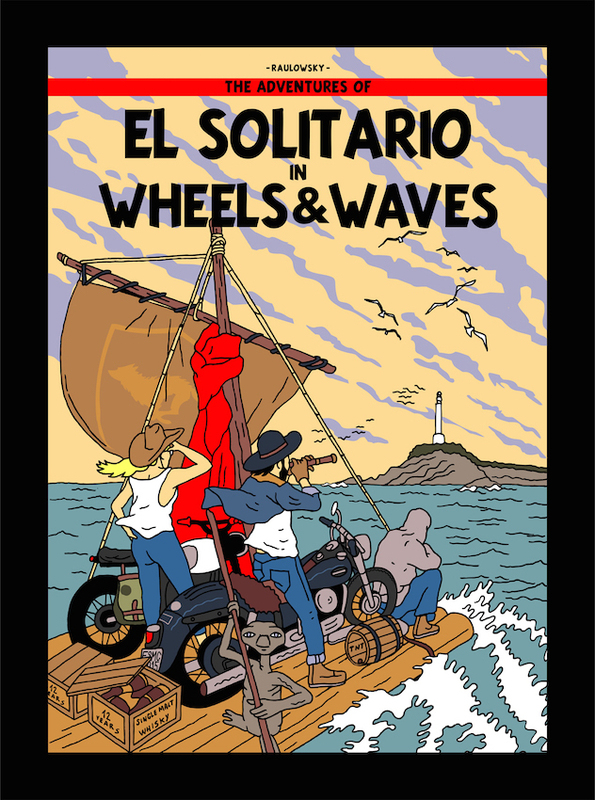 Last week's post on the Tintin magazine (that contained no Tintin) reminded me of this fantastic homage to the Belgian boy detective that Spanish artist, Raulowsky created for El Solitario last year. The first time I saw it I kicked myself for not thinking of it. I'm a big fan of Herge's books and this is a clever take on The Black Island cover. Raulowsky includes Biarritz' lighthouse, David El Solitario in his trademark hat on his Panhead, Valeria with Gonzo BMW and their sidekick, ET. Not sure who is on the front of the raft. 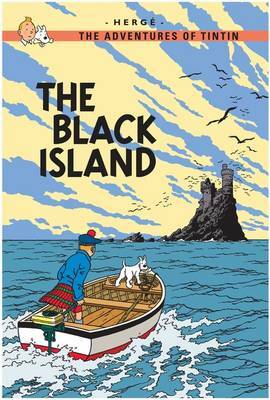 Tinting was one of my boyhood heroes (Captain Scarlet was another) and I still love Herge's artwork. That poster is brilliant. Never would've guessed that my boyhood fascination in Tintin would collide with my adolescent obsession with motorcycles. Only natural that it happens on the Sideburn blog.